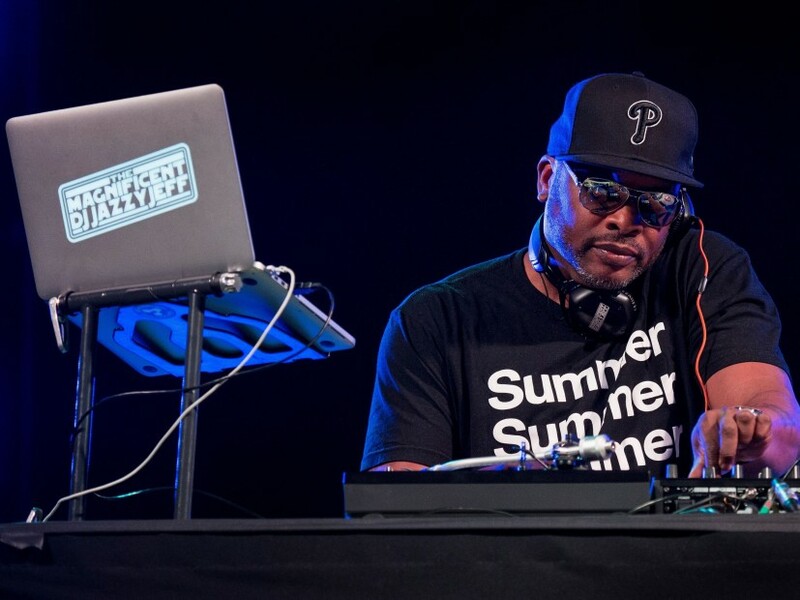 DJ Jazzy Jeff recently spent the last 19 hours flying from Africa to Dubai and from Dubai to Switzerland, where he finally had a rare day off. The frequent world traveler is coming off a transformative performance in Kenya, which he describes as “one of the best experiences” he’s ever had. When Jazzy Jeff plays a new country, he doesn’t simply cater to the locals’ tastes. Too often, he finds artists stray from their roots and try to match whatever the people in that particular country are accustomed to hearing. “I don’t ever change the way that I play when I go to these locations,” he explains. “I think a lot of people find themselves going to Africa and the first thing that you say is, ‘I want to play some of your local music’ or ‘I want to play some of the hit records in Africa.’ They get that 365 days a year. The veteran turntablist — who rose to prominence during Hip Hop’s golden era alongside Will Smith as DJ Jazzy Jeff & The Fresh Prince — just dropped his new album, M3, earlier this month. The project serves as the final installment of the Magnificent album series, which started with 2002’s The Magnificent and 2007’s The Return Of The Magnificent. The arrival of M3 marks Jazzy Jeff’s first solo album in 11 years. He doesn’t think he would have had the confidence to put it out had it not been for his PLAYLIST retreats. Founded in 2016 by the Philadelphia native and his wife Lynette Townes, PLAYLIST acts as an incubator for independent artists, something inspired by the Red Bull 3style DJ event. After the first PLAYLIST retreat, people were so moved by the experience, they were in tears, which Jazzy Jeff didn’t really anticipate. With M3 out in the world, Jazzy Jeff is amazed at how technology has made digesting music easier than ever. He especially appreciates the ability to connect to his fans in a way that was impossible when he was coming up. “You have to dig too, but I discover so much good things from people’s recommendations,” he says. “If I trust their musical taste and they say, ‘Oh my god, you need to download this such and such album,’ I’m going to listen to it. I think that’s the beauty of where we are now. You can ask different people and get all the music you want. It’s really about sharing music and I think that’s really one of the things that got me excited about doing the record. In addition to his own music, Jazzy Jeff has collaborated with artists like The Roots, Eminem, Jill Scott and (of course) Smith. From 1990 to 1996, he also played the role of Jazz on the cultural phenomenon The Fresh Prince Of Bel-Air. Growing up in Philly, Smith and Jazzy Jeff always had a plan — Smith was going to act in movies and Jazzy Jeff was going to do the films’ scores. When the current Hollywood powerhouse was offered the role of The Fresh Prince on the show, naturally Smith brought Jazz along with him. “It was the strangest thing for someone to give you lines, you say the lines and everybody laughs,” he recalls. “I came up in this world where I was in no way, shape or form an actor. I had no desire to act.